Half a century ago this week, the year 1969 was off to a promising start. 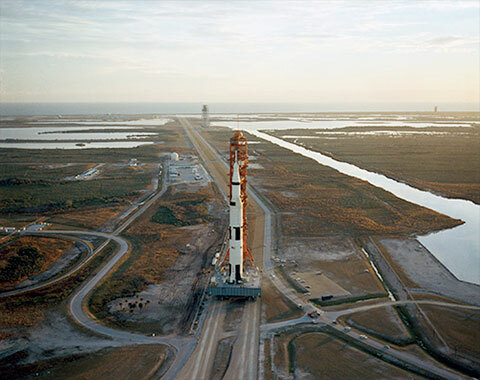 With Apollo 8 barely over, Saturn AS-504 carrying Apollo 9 (CSM-104 and LM-3) was rolled out of the Vehicle Assembly Building to Launch Pad 39A. Rick Mulheirn Great days! Happy New Year Ed. Keep 'em coming. spaceheaded A great ride so far, Ed. Can't wait to see how all this turns out! Jonnyed Wow. The Saturn V was such a majestic giant, wasn't it? astro-nut What a beautiful photo!! Thank you for sharing!